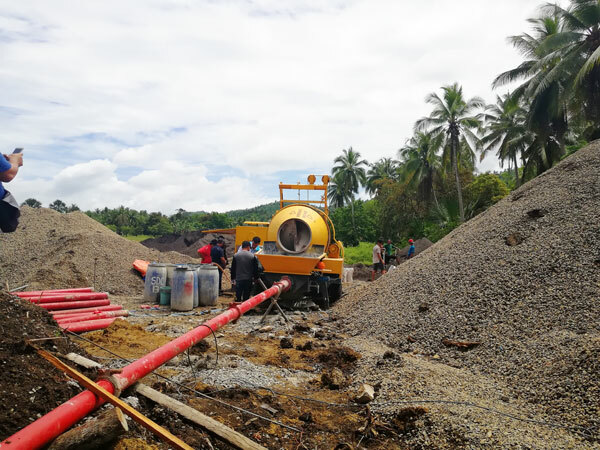 Small concrete pump has small volume and small productivity, as its name implied, therefore, it is much more suitable for small and mini construction project. 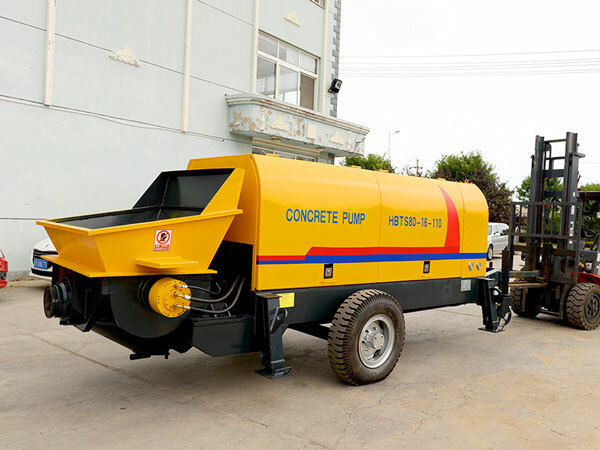 We mainly have two types small concrete pumps sale: small trailer concrete pump and small concrete mixer and pump. 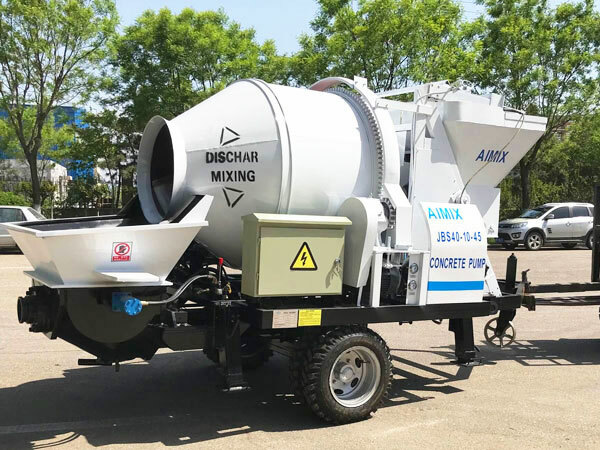 Small concrete mixer and pump is equipped with concrete mixer, usually JZC series concrete drum mixer, if customer has special demand for quality of concrete, we can also equip small concrete mixer and pump with JS series twin shaft concrete mixer. 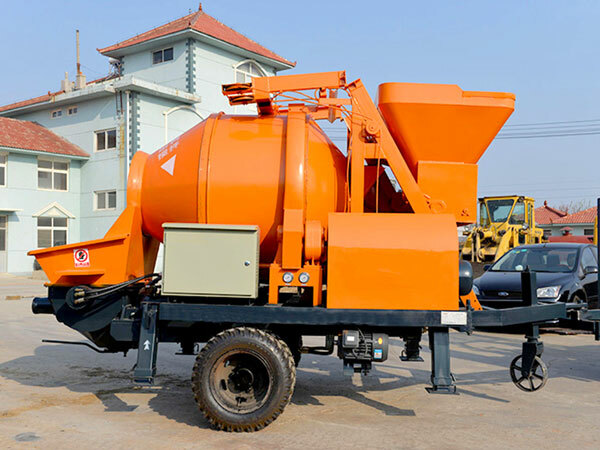 Because twin shaft concrete mixer can produce high-quality concrete. 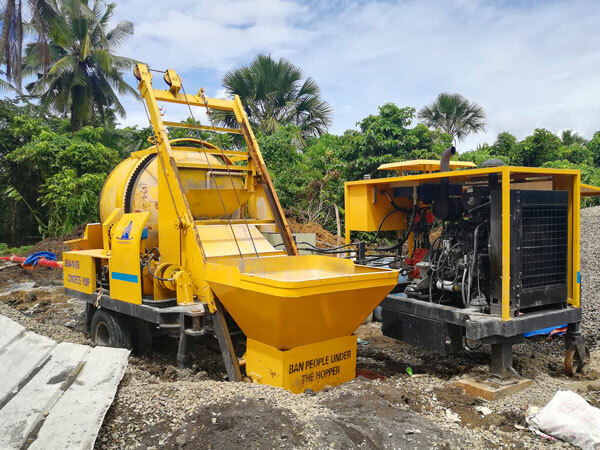 In July, 2018, our sales team went to Philippines, to see what about our JBS40R diesel concrete mixer with pump in Philippines, our user bought it to prevent flood control. 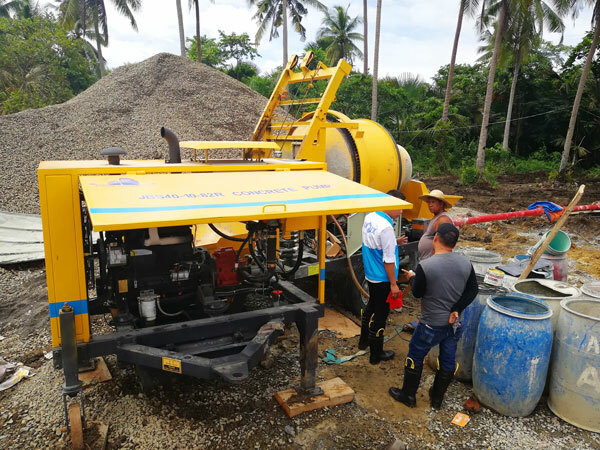 It achieve stable performance, high efficiency and quality, our customer spoke highly of this JBS40R diesel concrete mixer pump. 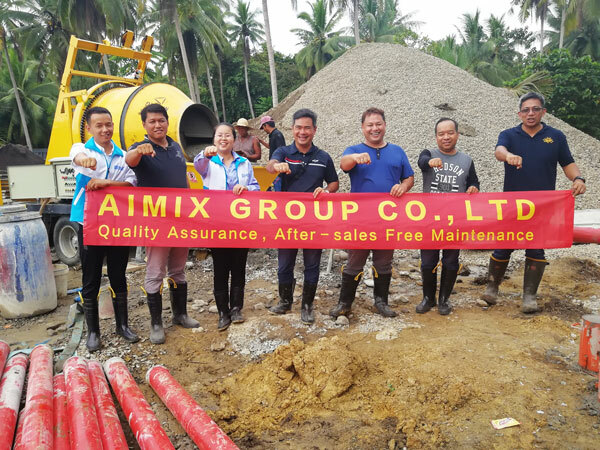 Customer said, if he do another project, he will choose our AIMIX GROUP again! 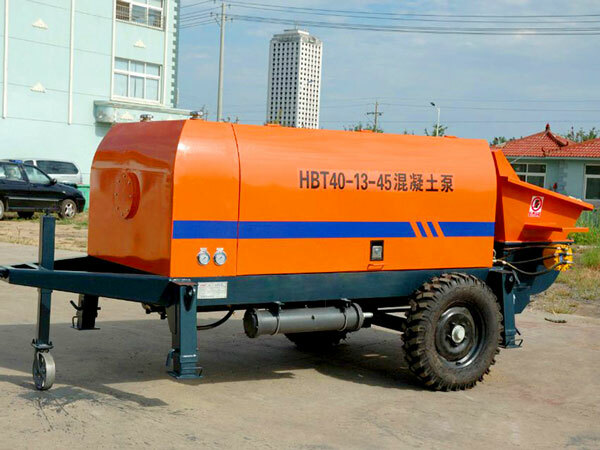 This is HBTS40-12-82R diesel small concrete pump, is without concrete mixer, only used to pump concrete, general work with a concrete transit mixer, lay trailer small concrete pump for sale in construction site, concrete will be delivered by the concrete transit mixer, then pump into the building. 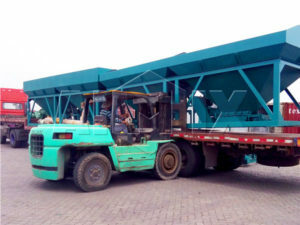 The followings pictures are shipment condition to Tanzania. This type concrete pump for sale can pump 40m3 concrete perhour, and it has S valve, which effectivelt solve block condition. It is driven by diesel engine, very suitable for areas lack electricity and electric power is low. 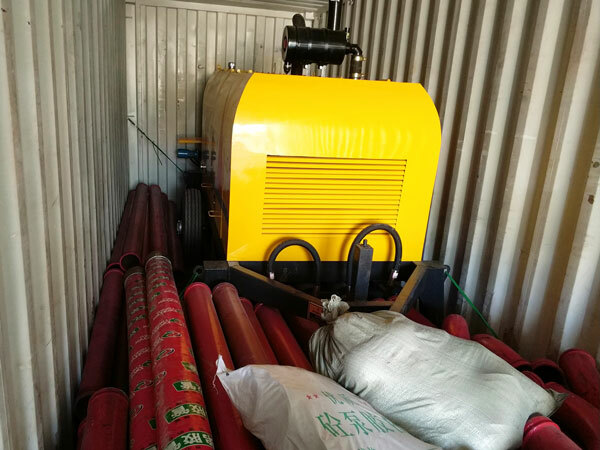 This is HBTS40-12-82R diesel concrete pump, it was going to Tanzania, the followings pictures are shipment condition. This type concrete pump for sale can pump 40m3 concrete perhour, and it has S valve, which effectivelt solve block condition. It is driven by diesel engine, very suitable for areas lack electricity and electric power is low. 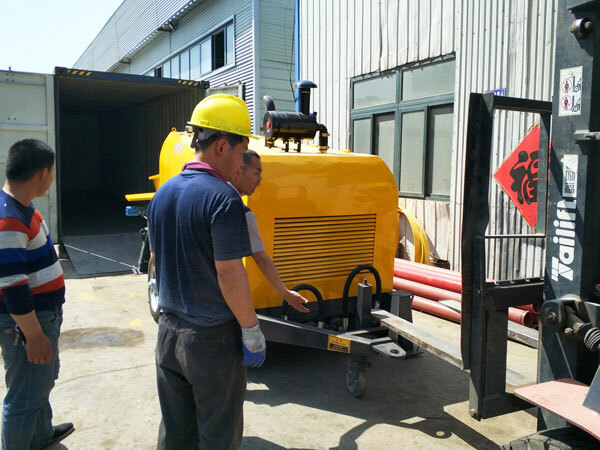 Customer buy small concrete pump, they must want to prolong the lifespan of the pump and achieve high efficiency, if you want so, you need to follow these six steps as below. 1. 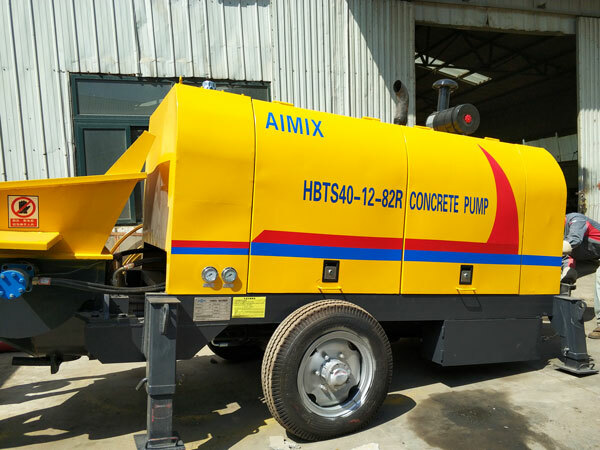 The first thing is you need to find reliable mini concrete pump manufacturers, then get specifications about small concrete pump. Put small cement pump in solid concrete floor or a block of stone as a seat, keep horizontal, fasten the locating pin and safety pin, make the tyres away from ground or disassemble the tyres. 2. 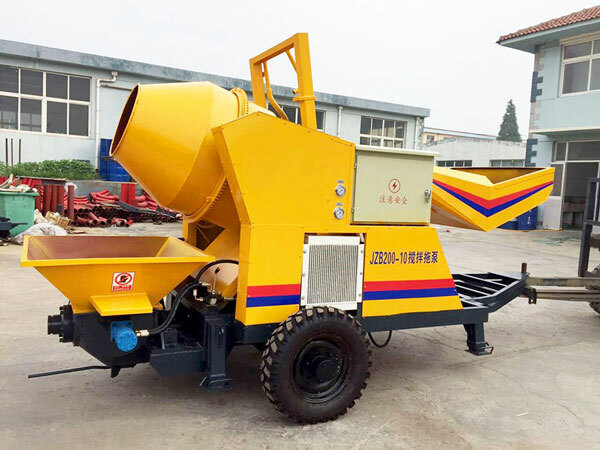 According to discharging outlet and hopper of small concrete pumps, make a chute, let materials discharged from concrete mixer enter into hopper of small scale concrete pump. 3. 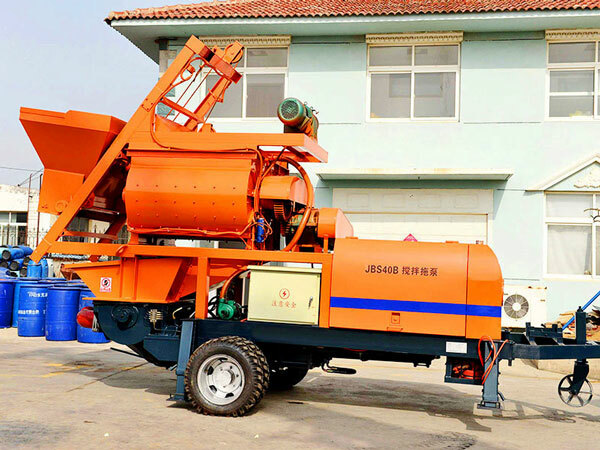 In general condition, hopper of small concrete pump should be heighten about 20cm, so that it is convenient to enlarge the volume of hopper, ensure concrete won’t flow out, case unnecessary wastes. 4. For location of chute, gradient should be proper, titling angle should be controlled in 25 to 40, difference of level should not be very big. 5. 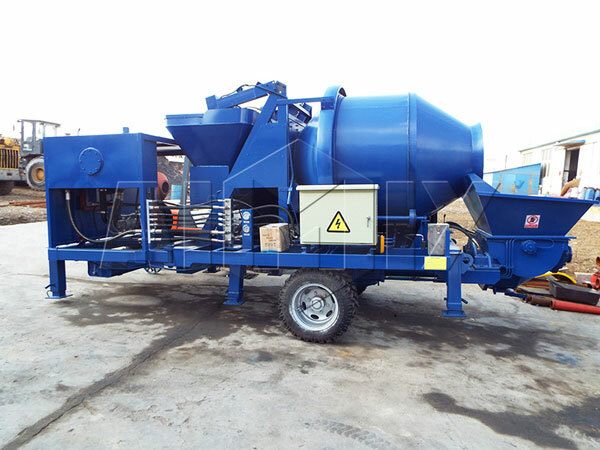 When connect chute and hopper for small concrete pump, there must be some space between chute and hopper, so that operator can clean the hopper and screen. 6. 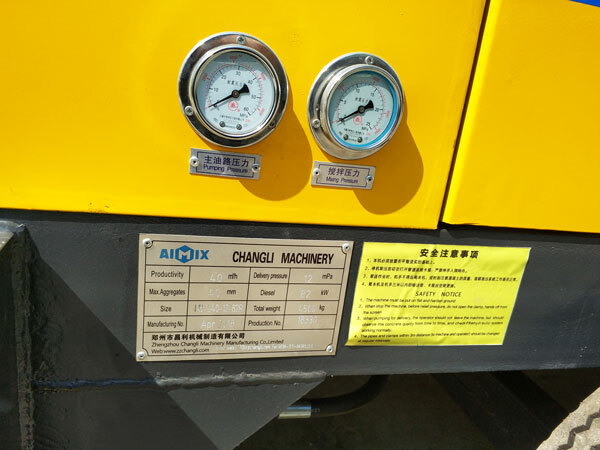 When the installation of small cement pump finished, engineer should check and ensure the door of conveying pump can open and close freely, which is very convenient to maintain. 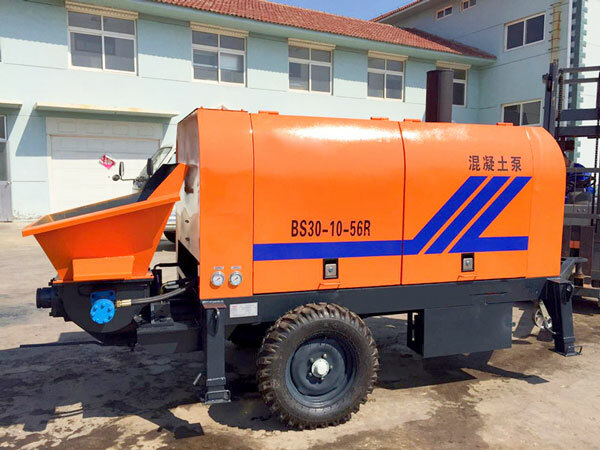 As for price of small concrete pump, you need to ask for several small concrete pump manufacturers, then make a comparison, if necessary, you can pay a visit to factory and see real small pump production, and you can judge the quality of pumping machine. 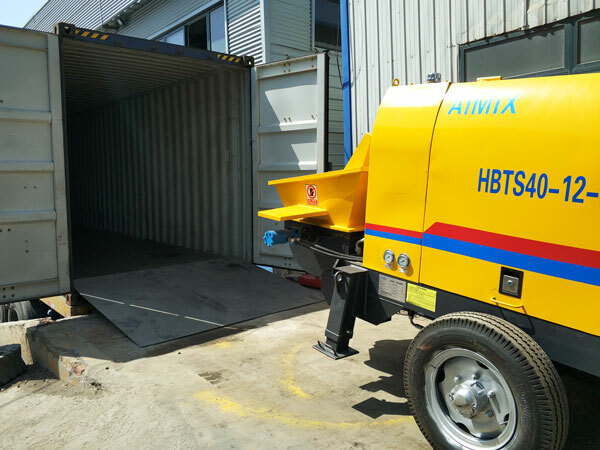 In a word, if you have demand for small concrete pump, contact us! Our factory and office are in Lahore, Pakistan, we can give you best small concrete pump price!